Wentworth Brewery, the independent brewery based in the historic village of Wentworth in Rotherham, owed thousands in beer duty and taxes as it sunk into liquidation. 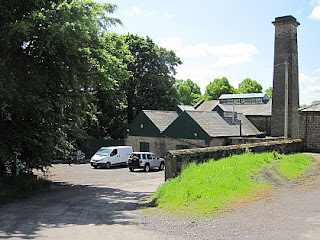 Opened in September 1999, the brewery was based in the old power house on the Wentworth Estate, know as the "Gun Park," which provided the electricity power supply for Wentworth Woodhouse. Award-winning ales from the brewery included local favourites - WPA and Gryphon - and were supplied to hotels, pubs and supermarkets. The company grew and also began bottling Wentworth spring water but brewing stopped in May. XL Business Solutions was named as the liquidator of Wentworth Brewery Limited and chartered surveyors, Walker Singleton was appointed to lead on the sale of the business. An auction of the company's assets at the 25 barrel micro-brewery plant and bottling facility was held at the end of June. Jeremy Bleazard of XL Business Solutions, said when the liquidation was proposed: "The brewery has experienced a difficult trading period, due mainly to issues associated with meeting its duty and tax commitments. Prior to these issues the brewery had operated viably." Documents filed by the liquidator show that one of the main unsecured creditors was HM Revenue and Customs (HMRC) who were owed £161,519. VAT was listed as £97,003 and beer duty as £15,678. Progressive Beer Duty is a beer duty system that allows smaller breweries to pay less tax on their products. Critics argue that the system is squeezing middle ranking regional operations. Total debts were estimated at £483,689 with the bulk, £232,000, relating to directors listed as unsecured creditors.